The MCR would like to invite all members of College to St Anne’s 2018 Graduate Symposium. This is an occasion to learn about what the MCR members are working on, as well as engage in interdisciplinary discussion. We hope you will join us! *The talks will take place in the Tsuzuki Lecture Theatre. 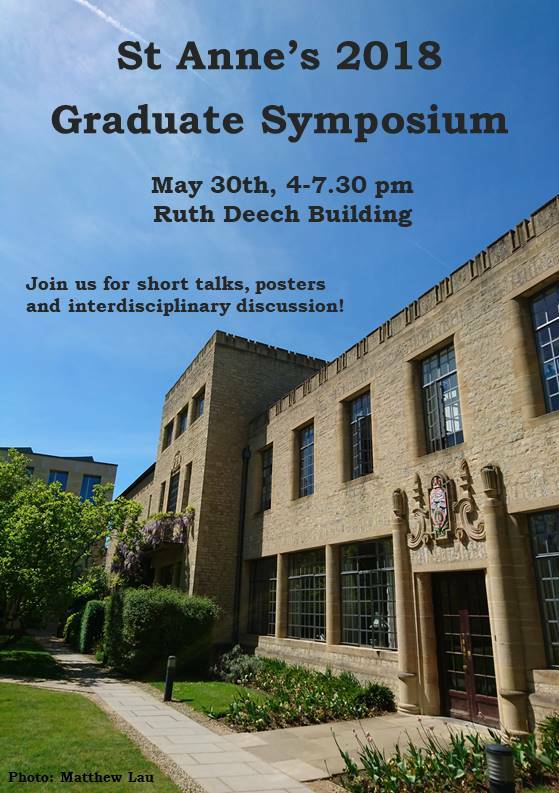 The Poster Session will be held in the Ruth Deech Building Foyer.